What’s more quintessentially summer than action movies? Barbecues, fireworks, and action movies sound like a spectacular evening. Obviously, they don’t only belong to the summer, but the release of Mission: Impossible: Fallout is a good a time as any to revisit the state of the action franchise landscape. Some ground rules before this spirals out of control: we're excluding superhero movies (they're a separate thing) and franchises that are too short (no The Raid or John Wick). We'll be looking at the four big action franchises: the Daniel Craig Bond era, the Bourne movies, the Fast and the Furious, and Mission: Impossible. They've got multiple entries, a relatively continuous cast of characters, and fight for the same audiences. I'm keeping score out of 5 for franchise health based on four criteria: quality of action, characters, innovation, and memorability. Quality of action - set pieces, extraordinary level of stunts, chase sequences, etc. MI takes the crown because it really lends itself to having the most amount of action in it. Bond and Bourne have stories that pit one man against larger opponents, whereas FF and MI are more centered around groups of characters. What’s better for a bunch of characters to do than to pursue multiple objectives in badass ways? Bond and Bourne are also limited by choosing to mostly stay in the spy genre, and The Fast and the Furious has kept its focus on wheeled-vehicle action. 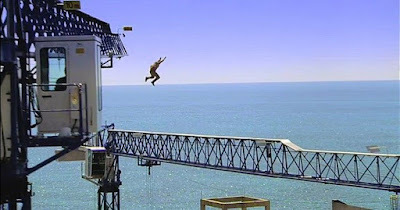 Bond also has the weight of maintaining its established tropes which gives it less room to pack in more action. 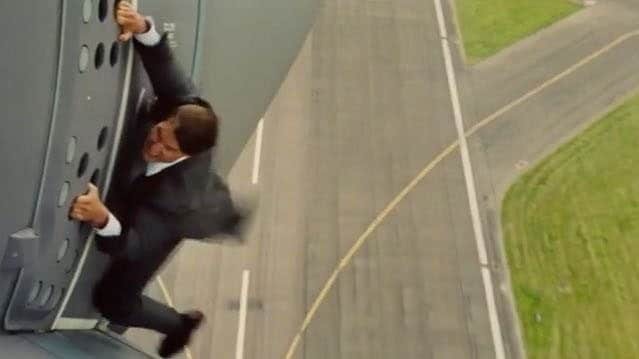 MI’s Ethan Hunt and the IMF are nominally spies, but that doesn’t stop the filmmakers from cramming in as many stunts and set pieces as possible, and they’ve designed the franchise to be as liberated from the narrative strings of previous installments or a specific style to be as entertaining as possible. To be fair, FF has come closest in ramping its level of action, but you don’t go longer than ten minutes in an MI movie without an action piece. The car chases in Bourne are probably my favorite because the hero takes such a beating, although I do love the flashiness of the chase sequences in Bond and FF. All of the action and explosions don’t matter unless the hero(es) is someone the audience cares about, or the villain is sufficiently dangerous to put our hero(es) in actual danger. Daniel Craig arguably plays the most iconic and interesting of all the Bonds, and his interpretation of 007 was fleshed out remarkably quickly in Casino Royale and Skyfall. Bond also benefits from Dame Judi Dench and Ralph Fiennes as M, and Eva Green as a femme fatale. Jason Bourne’s arc was developed over the first three movies, but took some serious steps back in the last installment of Jason Bourne. MI has steadily improved over the years in adding and then keeping series stalwarts like Simon Pegg and Alec Baldwin and including capable, independent female characters played by Paula Patton and particularly Rebecca Ferguson (Bond never quite figured this out despite trying a bunch of times). In terms of villains, the best is probably a tie between Philip Seymour Hoffman in Mission: Impossible 3 or Javier Bardem in Skyfall, who also happen to be best actors in the series. Bourne’s primary enemy is just a hazy governmental menace and his own faulty memory, while FF has chosen to take its most potentially memorable antagonists and invited them to the barbecue. It’s not a bad choice necessarily, but I’d love for a real heavy to be their villain, like having Kurt Russell’s Mr. Nobody be the bad guy. But the clear winner overall is still the Fast and Furious franchise, which owes so much of its momentum to adding members to the Toretto family. Fast 5 and Fast and Furious 6 are probably the high point in the 21st century for a group of heroes that I like, superhero movies included. It’s been mentioned before, but the likability of these characters stem from their relationships to each other, in all of their combinations, aided by a murderers’ row of supporting actors. It’s not just Dom and Brian and Letty and Hobbs, but we feel something about Han and Giselle and Roman and Tej. It’s our beautiful multicultural cinematic family living in harmony and stealing stuff from vicious rich people. The relationships are what elevates this from run-of-the-mill B movie territory into an legitimate action franchise. I’m defining innovation here as the lasting footprint that the franchise has left, and this is where these franchises overlap most in their influence on each other. Obviously, Bond has the biggest footprint as the progenitor of all of these movies, but the modern Craig-era Bond was influenced by the harder, handheld edge of Bourne (and The Dark Knight). MI redesigned its look and approach starting in 2006 (same year as Casino Royale) with Mission: Impossible 3, creating a friendlier, more action-centric Americanized Bond, with Cruise as the world’s greatest stuntman at the helm, and taking lessons from Bond and Bourne that a romance brings numerous narrative advantages, like humanizing the indestructible assassin. The Fast and the Furious opened up its scope from street racing into international espionage with a highly entertaining tone and mood similar to MI, leading to the release of Fast and Furious (2009) and Fast Five (2011). Since this initial burst of innovation, the franchises have settled into their respective tracks. Bond and Bourne feel like they’ve run out of steam with the current iteration of their main character, with Craig probably leaving after one more movie, and Matt Damon unsuccessfully trying to pass on the mantle to Jeremy Renner into a more episodic series. FF seems to realize that it’s close to the end with its current cast and storyline (unless they go to space), so it’s spinning off into a Hobbs-Shaw movie. MI continues along its path as the franchise with the most physically demanding and wildly inventive stunts, which will last as long as Cruise does, although a convenient time for the current run with director/writer Christopher McQuarrie would be to end after one more, to make a trilogy under his watch. In all honesty, I hope it doesn’t end for awhile. What’s exciting is that all of the franchises developed into their current forms at about the same time, which means there’s a good chance that they’ll start evolving in new directions at about the same time, which means they can indirectly influence each other again. Memorability measures iconic moments, catchphrases, and rewatchability. The Craig-era Bond films have been high on memorability, with Craig as perhaps the best Bond of all time, but that momentum has fallen off with Spectre. What’s cemented his place in the conversation as perhaps the best Bond is a contemporary maintenance of the franchise’s traditions, but adding some soul to the killing machine, to give some pathos to the martinis and the tuxedo, as the Craig reboot took us to Bond’s unexplored origins. If nothing else (and the above is hardly nothing), this series gave us one of the three best Bonds in Casino Royale, and a really good one in Skyfall. The first three Bourne movies are the best three movie sequence in all of these franchises because they complete a cohesive arc; it might be the best action trilogy out there. I’ve said this before, but this franchise sometimes flies under the radar because the main character is meant to be anonymous, and the scale is a little bit smaller, and that robs us of iconic imagery. But, the car chases are some of the best on film, and the hand-to-hand fighting is top notch. The Bourne Legacy has even grown on me in rewatching it, which means the only real dud is Jason Bourne, and that’s partly because of the large shadow cast by the initial trilogy. The Fast and the Furious movies are some of the most fun experiences I’ve had going to the theater; it’s cartoonish in the best way possible. When I watched after school cartoons, I never totally worried about my favorites being in real danger, and even when Han and Giselle and Brian left, we stuck with it anyway, because we still like the CG that allows you to catch your family as they fly over the highway. I’ve mentioned the strength of the characters before, but to go from trying to make them cool to making them likable and humane is what makes these movies so watchable. Mission: Impossible has the slight edge in overall standings (below), and I think that comes from its current streak of success, not really having a dud since Mission: Impossible 2, which is still a hilariously watchable mess. Top to bottom the overall quality of entertainment is the best, with instantly iconic moments like Tom Cruise running, and Tom Cruise hanging off a plane, and Tom Cruise climbing a mountain and the Burj Khalifa, and Tom Cruise being the most Tom Cruise he can possibly be. 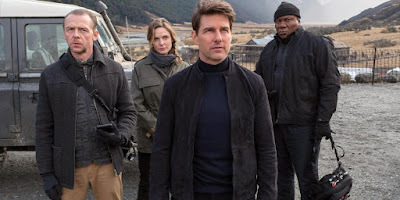 There are very few guarantees in movies, either making them or watching them, but a Mission: Impossible release is as close as it gets to guaranteed fun, which is what we’re looking for in an action film. No wonder, then, there's such an appetite for superhero flicks - though they're hardly devoid of apolitical, vaguely motivated villains (hello, HYDRA), the fantastical nature of the stories allows for a much greater diversity of characters and goals. Sure, the action/stunt sequences in Fallout were thrilling, but how many more of these cookie-cutter "defeat the arms dealer, before he can sell other people weapons, with which to do unspecified very bad things!" can we really take? Because I for one am so, so very tired of all that. I think you may have hit on why I prefer the Bourne series (as a whole) best of these - I like its consistently smaller scale. Bond movies creep me out, they always have. And what a surprise, there are no long lasting ladies in that world. It's such a bummer that they killed off the Bourne franchise with that lackluster final one. Just ran out of ideas.